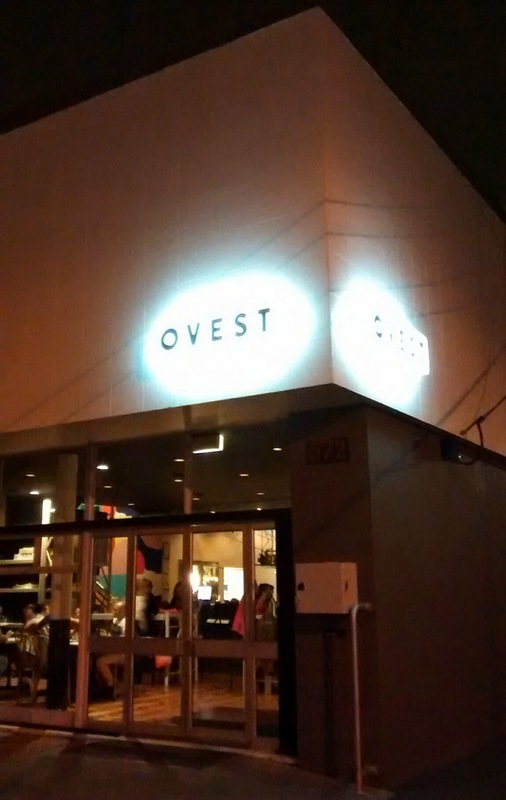 We'd been keen to try Ovest after hearing of its impending arrival and subsequent popularity. The distinctive former bank building on the corner of Buxton and Barkly streets struck me as an odd choice when I first heard about the venue, however it really works and is distinct from the other restaurants of #wefo. We went for a slightly later than usual 8pm booking on a Saturday evening, thinking things may have quietened down, but it was packed with a mix of family groups and tables of adults. The fit out worked for me, with the geometric lines on the white walls, parquet floor, feature industrial lampshades and wooden chairs of mixed designs. Behind the bar the kitchen was open, and the large metal pizza oven sat behind floor to ceiling shelving. We were quickly provided with menu's and served some water while we pondered the entrée, main, side and pizza options. 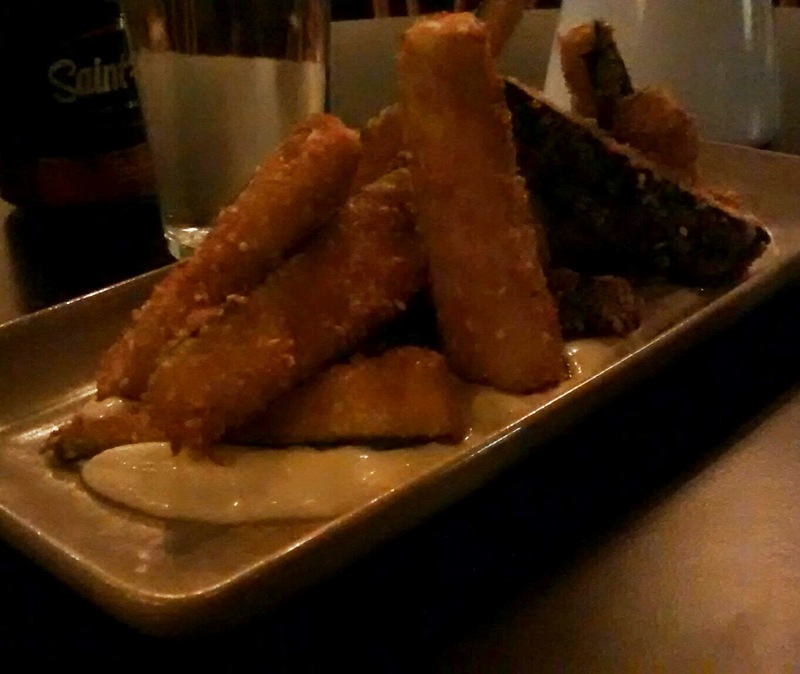 We decided to share the crumbed zucchini fritters to start, which retained a little more bitterness than we'd have liked but when paired with the truffle mayo were winners. 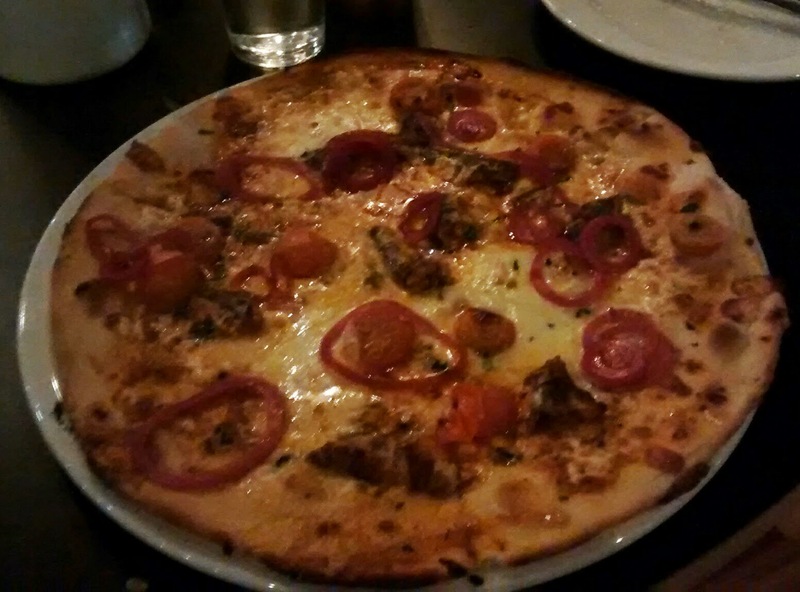 I went for the sardine pizza, with the wild fish sitting atop a tomato base and 'scamorza affumicata' smoked cheese. The base was thin and crisp with a dough not entirely familiar but still bubbling a little at the edges. The combination of flavours and textures hit the spot though. 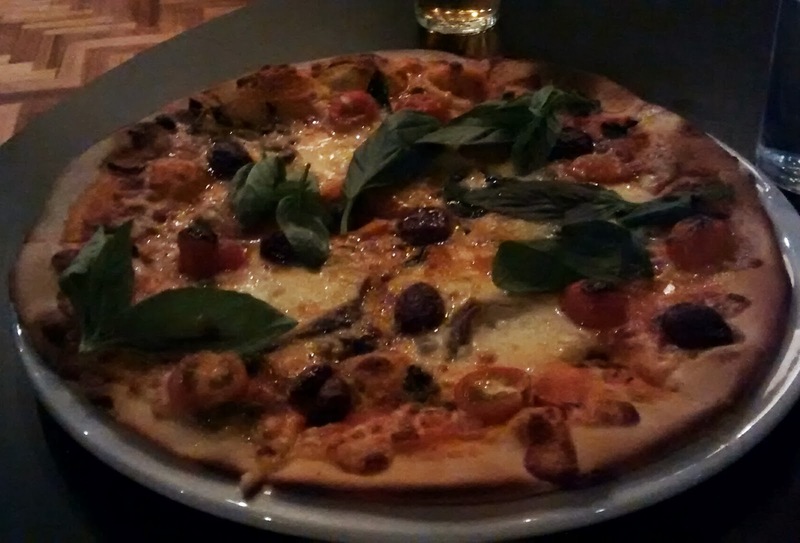 The Ovest pizza with it's tomato base, mozzarella, olives, anchovies, capers, chilli, tomato and fresh basil was packed with fresh flavours along with a decent kick. With a few beers our meal came in at just under $75 and the service all evening was both efficient and friendly. As we wandered back to #mifo we discussed the proliferation of good pizza joints in the greater Footscray area since we moved west in the late naughties. 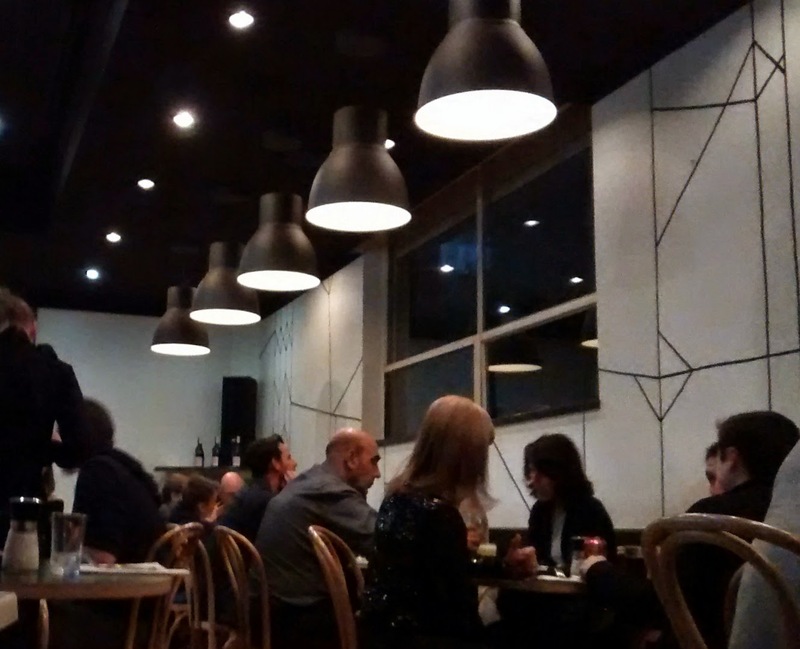 Back then pizza meant a call to Domenico's and picking up a (decent) classic Aussie takeaway, now with Ovest joining the Mozzarella Bar and Casa di Tutti in Seddon and the Plough in Footscray there are numerous decent options, which all seem to be doing well. 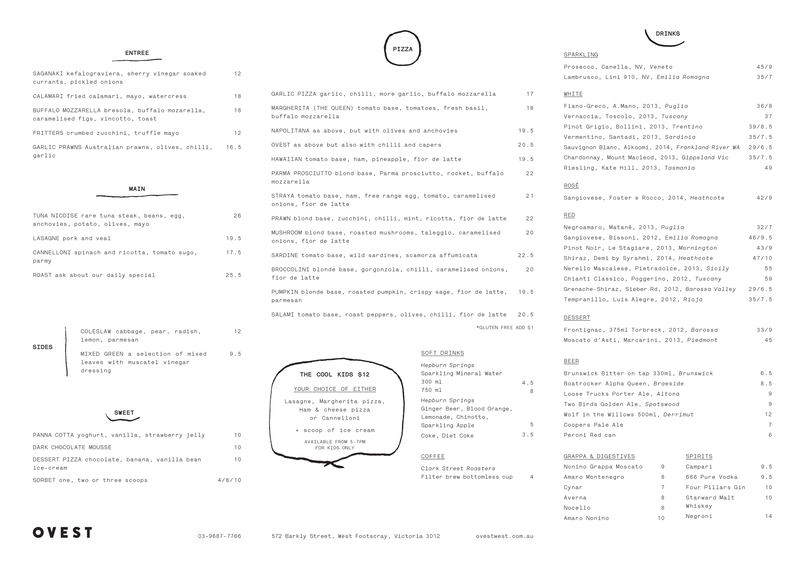 It's great to have choice and an Italian in #wefo is a welcome addition to Barkly street.